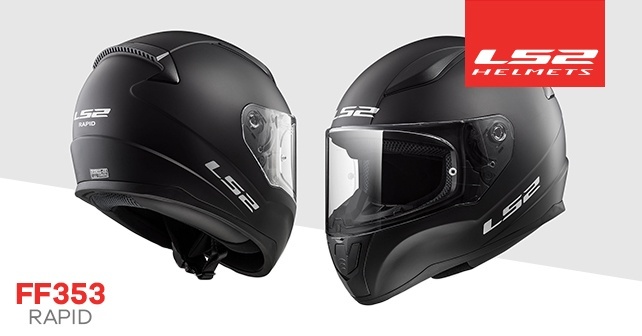 to design the safest, most innovative performance helmet on the market. 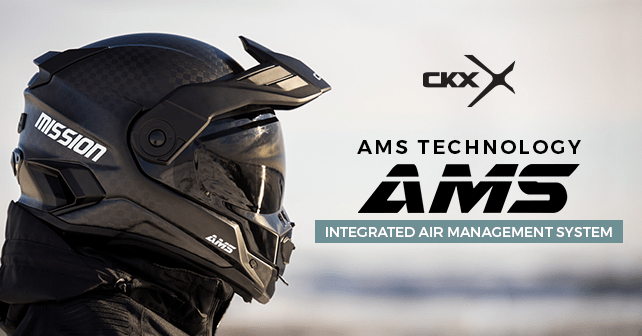 Newly integrated in the Mission and Tranz helmets, the new AMS (Air Management System) technology is seen as revolutionary in snowmobile helmets. 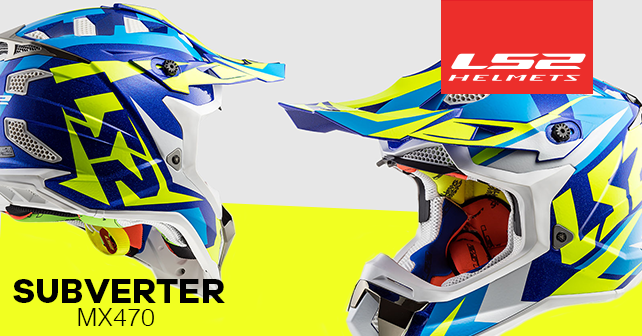 Trail rider enthusiasts are now able to enjoy unrivalled comfort with the new helmets sporting AMS technology by CKX. How does the AMS system improve your driving experience? 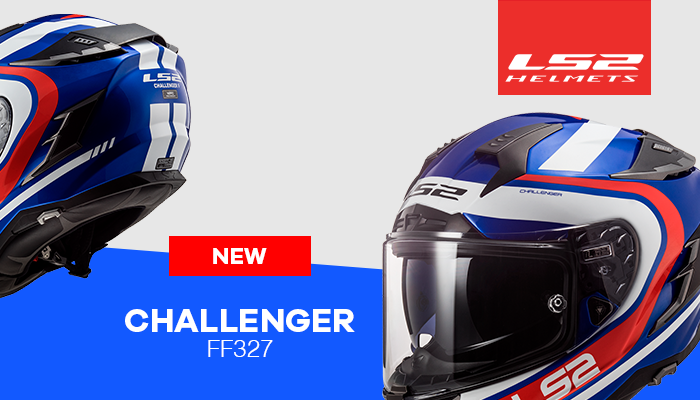 By letting you breathe freely inside your helmet via a system that quickly evacuates moist air, resulting in an environment free of condensation and frost. 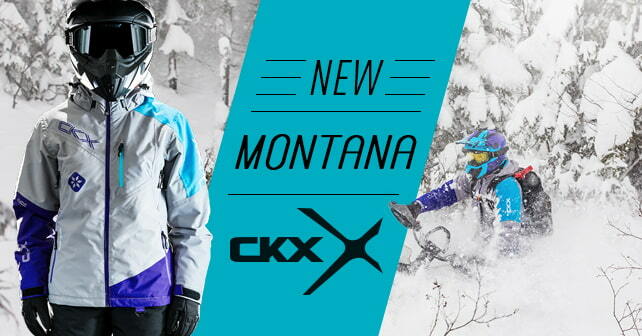 Kimpex was among the retailers, ambassadors and winter sports enthusiasts who have come to assist with the launch of the new 2020 CKX helmet, apparel and accessories. From the first moments, the mood was set for the night and the development of the entire 2020 collection were highlighted: protection from the outside elements and wicking away moisture. 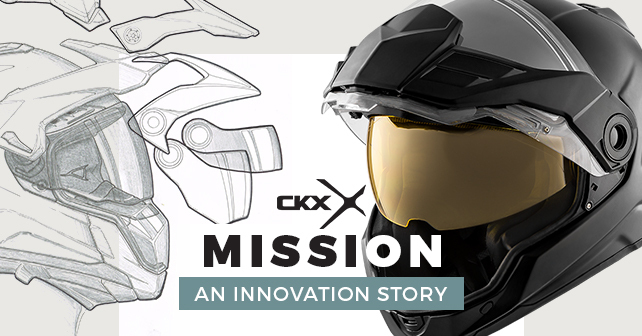 Although design and style are the criteria of choice for consumers, CKX strongly believes that it is technology and product quality will primarily enable the brand to stand out with regard to performance and comfort. If you have visited boutiques specializing in winter clothing during the last few years, you have certainly heard about the virtues of layering your outdoor clothing. 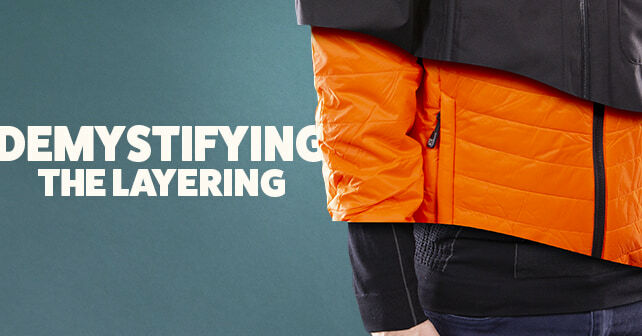 Proven over several decades in the outdoor industry, the layering system is now finding its way into the pursuit of winter sports activities, including power sports. But what is this way of dressing truly about? Is it really effective in all conditions? 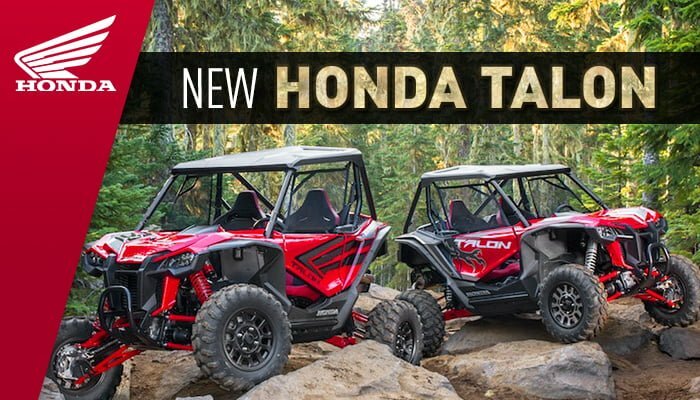 At first glance, it may seem a bit far-fetched to believe that an ideal system for fall hiking will be just as suitable for riding a snowmobile at 70 km/hr in -15 degree weather. What’s important to know about dressing in layers is that this type of clothing is based on an adaptive system principle, whereby fabrics and each layer’s insulation factor will vary according to the intensity of physical activity and the desired level of warmth. All it takes is a clear understanding of how it works, and then to find the ideal combination that best suits your needs. 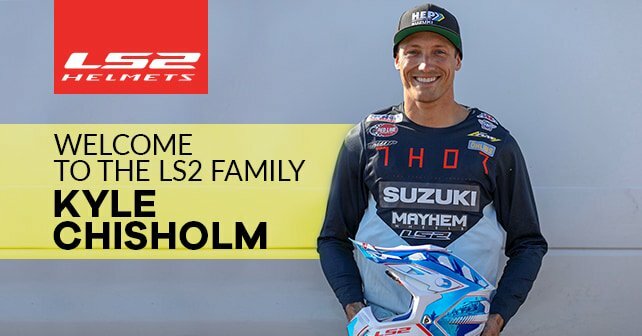 LS2 Helmets is pleased to announce a 2-year agreement with Kyle Chisholm to join its athlete roster. “LS2 targeted Kyle for a number of reasons. He’s a fierce competitor. He’s a great guy in the pits, and like us, he values family. We are stoked to work with Kyle because not only is he popular in North America, but his wins and top finishes at European Supercross events such as Bercy provide LS2 even more exposure in Europe.” - Jon Kluiter - Vice President LS2 USA. trail rides as the sportier backcountry rides. 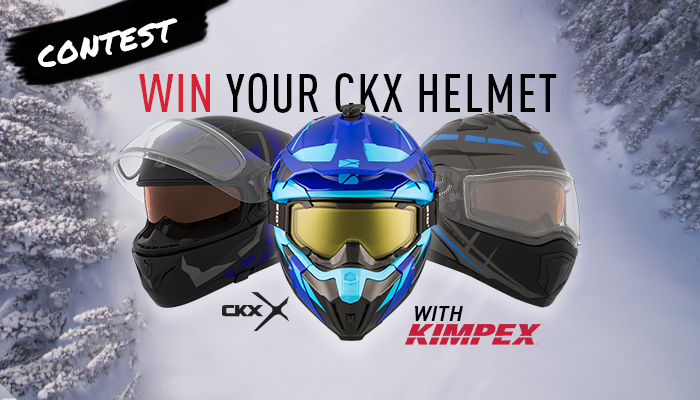 In collaboration with CKX, Kimpex offers you the chance to start the 2018-2019 season with a new helmet! This is your chance to get your hands on the very popular Titan, in summer or winter version, or the legendary TRANZ modular helmet. Since their launch, X-TRAK boots have already won over many snowmobile enthusiasts. This is not surprising given their eye-catching design, quality materials and a design concept developed in close cooperation with professionals: hence their outstanding performance. 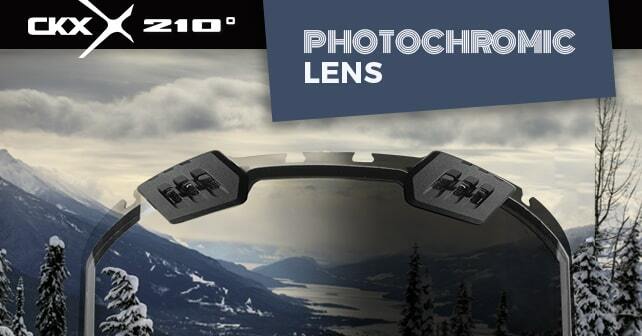 Although more adapted to backcountry or aggressive riding, they are suitable for trail snowmobilers as well. 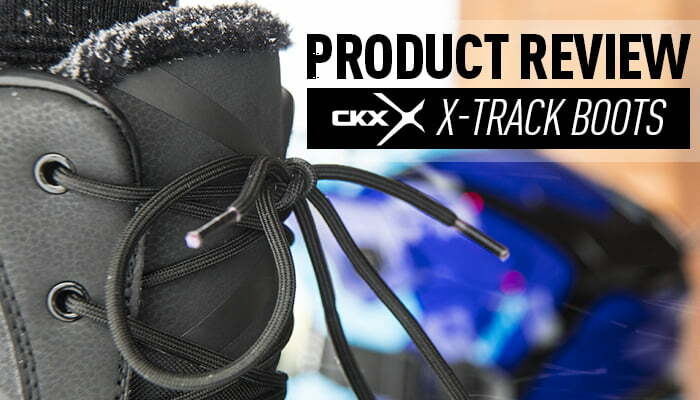 With over 5000 km of snowmobiling this year, I am well positioned to share my impressions of these attractive CKX X-TRAK boots. amazes more than one with his construction quality and presented performance. 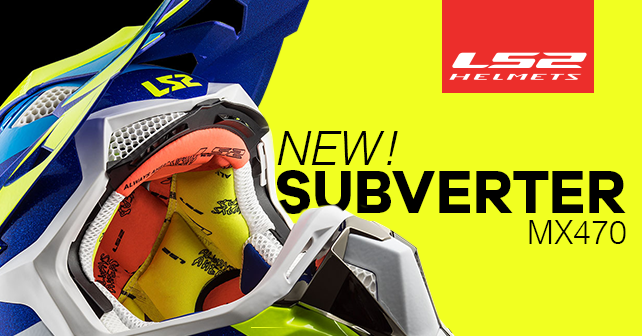 Yesterday, Suzuki introduces us to their brand new KingQuad. 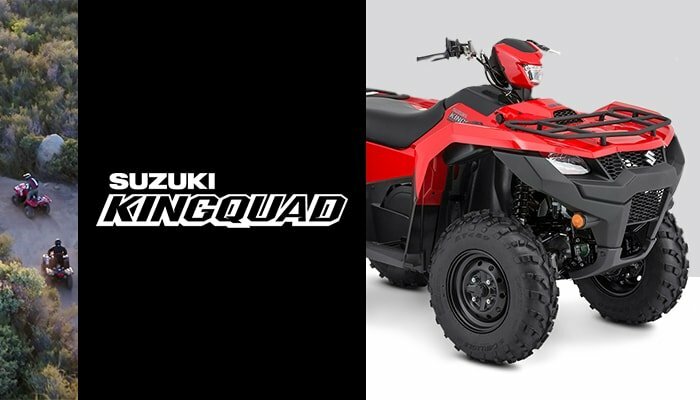 Redesigned, built to last and assembled in the United States are the three major points put forward by Suzuki to praise the new KingQuad presented in 750cc and 500cc. 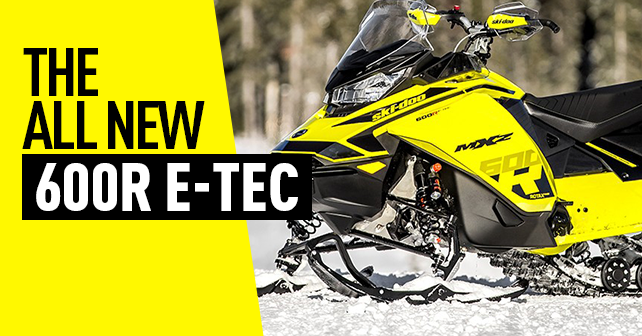 BRP introduces the most advanced 600cc in the industry, the 600R e-tec. 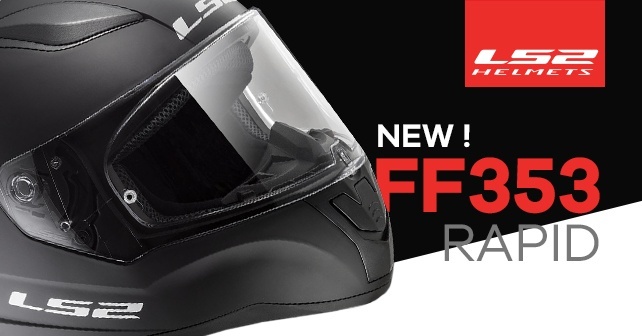 Discover the new LS2 FF353 Rapid helmet. 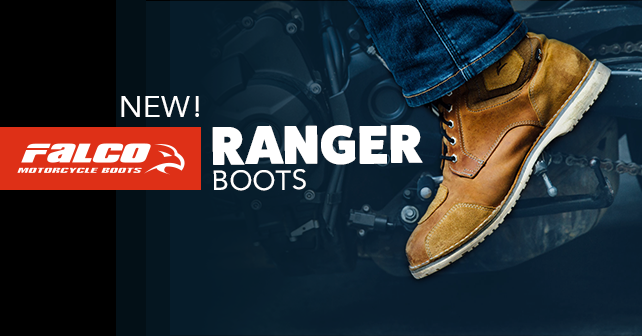 Falco Motorcycle Boots announce the arrival of a new model of boots for motorcycles. Argo jump in the ATV market! 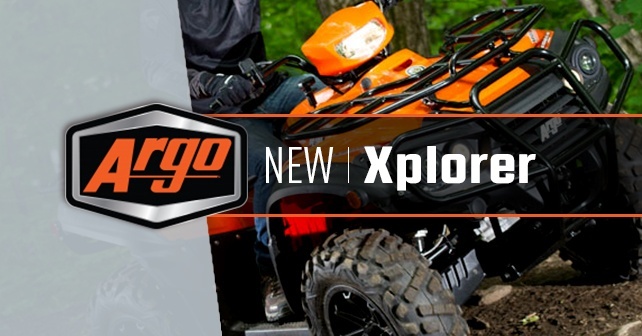 After 50 years of exploiting the XTV (Extreme Terrain Vehicle) market, the Canadian company Argo launches into the ATV market. I recently changed my motorcycle helmet for a CR1 from LS2. After a few weeks trying it out, I can now say that I am very pleased with my choice. The look is great and the quality of the pads is excellent. And most of all, the AirGo system is brilliant!!! "The FCMQ is proud to partner with Kimpex in launching the Action volunteer program. Remember that volunteering is a cornerstone of the snowmobile industry in Quebec and we are confident that this collaboration will be successful in helping to recognize and thank the contribution of our thousands of volunteers. "Michel Garneau, Manager external relations and strategic development FCMQ. STV is closing in on 20 years of production. A lot has changed in two decades of snowmobiling, but values and partnerships remain vital to all aspects of the sport. We at STV are pleased to be associated with a partner like Kimpex that supports this sport and those involved in it as well. As we take our show from coast to coast, we see a lot of different riders with different makes and models of sleds and they ride in completely different terrain and with different needs. Like us, Kimpex knows and understands the needs of the real snowmobiler and the importance of providing a line of products to those dedicated sledders. Snowmobilers want to be on the snow from the first fresh flakes in the fall to the last melt in the spring, and Kimpex is there to keep them riding all season long. Thank you Kimpex for supporting us at STV, and thank you to our viewers who have continued to support us for almost two decades. Raven Media Inc publishers of Planete Quad and UTV Planet Magazines are sponsored by Kimpex. Our team would like to thank Kimpex for producing and distributing quality off-road products and gear. Most of all, thank-you for not only keeping our team looking stylish with the latest CKX apparel and gear, but also safe while we are out on the trails! The Motoneiges.ca Magazine is the largest francophone website dedicated exclusively to the practice of snowmobiling. Motoneiges.ca team is proud to have Kimpex Canada among key partners. 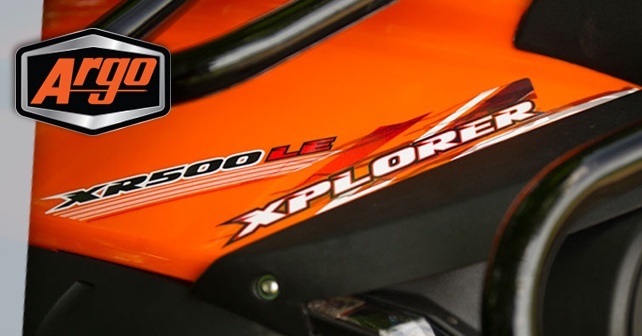 Indeed, for the past nine years, we are working with enthusiasts Kimpex to promote the sport of snowmobiling. For more information, visit Motoneiges.ca Magazine: www.motoneiges.ca.